Designed by Alexey Pajitnov, best known as the original creator of Tetris. It was originally released on the MSN Games service in July 2003, later it came pre-installed on the Xbox 360, and further down the line MumboJumbo released a ret...MoreDesigned by Alexey Pajitnov, best known as the original creator of Tetris. 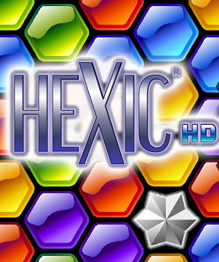 It was originally released on the MSN Games service in July 2003, later it came pre-installed on the Xbox 360, and further down the line MumboJumbo released a retail version for the PC called Hexic Deluxe.